Despite not meeting as a class each day, our Teacher Cadets continue to share their time and talents to CFHS. On Thursday, Feb. 8, Emily Brittingham, Chaeli Castle, Hannah Meeks, and Maria Pino met with Ms. Twigg for a Domino’s dinner and rock painting. 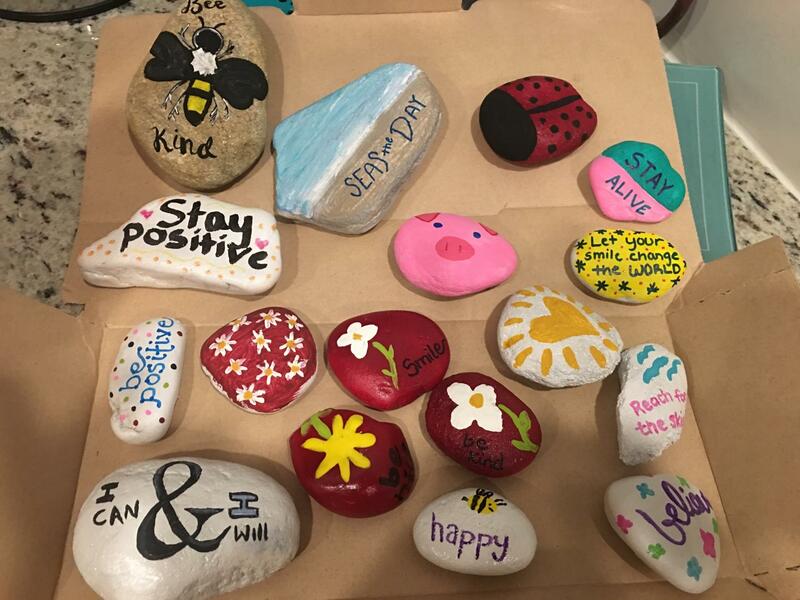 Throughout the spring semester, they will be painting inspirational rocks to place throughout the school grounds and buildings. They are hoping it will help bring some smiles and positive thoughts. “We all go through hard times and stress about different things. Hopefully, when a student, faculty member, or even a visitor finds one of the rocks, it will bring some happy musings,” commented Ms. Twigg.